If there is one thing I truly adore about my husband, it is that he knows everything. Don’t get me wrong – he’s not a know it all, but absorbs just about anything he reads. Not only does he absorb it, but he remembers it for life. More than once we have gone hiking and walking and if I have a question about a plant, he knows it. Granted, some may be from his Boy Scout days, but a lot of it comes from the fact that he loves to read. Since we hike, I love him pointing out different things to me and telling me what stuff may be safe for Reya to accidentally eat, and which would be an emergency vet trip. When I was asked to review the latest copy of Guide to Wild Foods and Useful Pants, I was actually very excited. Now I might be able to learn for myself the different plants and which ones may be safe for my family! 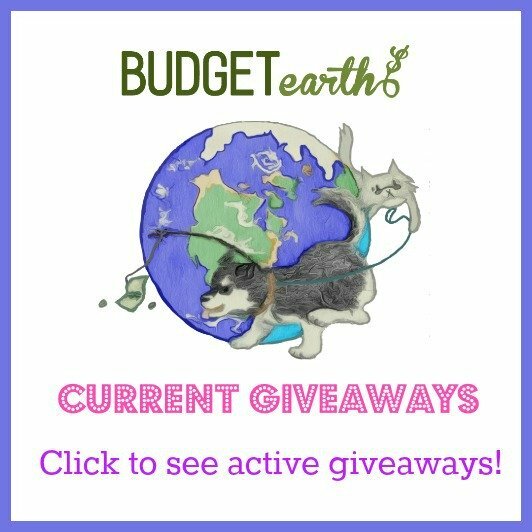 Do you love to camp, hike, forage, or just love the idea of being able to get food from the wild? Then we think you will love Guide to Wild Foods and Useful Plants. 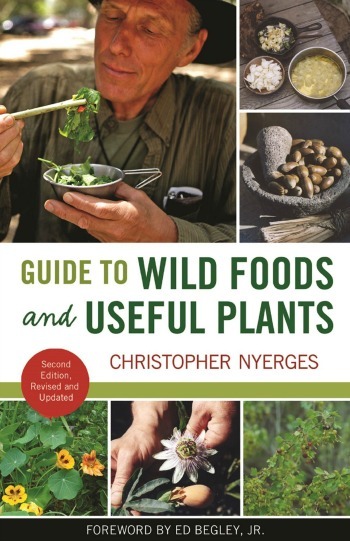 Written by Christopher Nyerges, a leading expert in survival skills and wild food, this book is designed to teach anyone how to recognized edible plants, where to find them, and their medicinal and nutritional properties. This new addition features over 70 plants found throughout the United States, as well as over 100 full color pictures to help readers identify the plants. Once you have seen this awesome book, you will understand why campers and survival enthusiasts consider this a must have guide for foraging! Not knowing a great deal about plants, I thought I was about to get massively intimidated by this book. Instead, I was introduced to a variety of plants and herbs in a very friendly, easy to understand manner. Not only are all the pages informative, but come with useful pictures to make sure you are properly identifying the plant. Really, it is the perfect book for beginners and experts alike. Based on my own experience of this book, I am happy to give Guide to Wild Foods and Useful Plants an A+ rating! Would you love to purchase this book for yourself or someone you know? You can buy Guide to Wild Foods and Useful Plants on Amazon.com for $19.05 or you can purchase the Kindle version for $9.99. I think this book is a must for anyone spending time outdoors especially camping, hiking or even bird watching. We humans are naturally curious about what we see and is it is edible, especially children. I’m so glad there’s a guide to help us identify safe from unsafe plants in the woods. I have seen pictures of poison ivy and don’t think I could identify it without having someone point it out to me. I think The Guide to Wild Foods and Useful Plants is going to be a helpful tool and with the pictures in the book, maybe even I could learn to identify what is edible and what is not. This would be a good book for someone that liked to camp and hike. I swear you are talking about my husband, he’s exactly how you described your husband, except maybe not so much a reader. We love everything concerning survival, this sounds like an awesome book!